The horrific attack in Nice that led to the deaths of at least 84 is just the latest event to expose the vulnerability of Western societies. While the motives of the 31-year-old man who mowed down dozens of people celebrating Bastille Day along the promenade on July 14 will aren’t clear, one thing surely is: our complex global society lacks resilience. What do I mean by that? Everything from our vulnerability to power failures to our overreaction of vilifying people who merely “look like” the perpetrators of violent acts, an overreaction demonstrated by calls by Donald Trump and Newt Gingrich to close our borders to Muslims. The good news is that we can improve our resilience. First let’s examine our society’s vulnerabilities. Terrorism is just one of many global threats that we face. Our economy is highly vulnerable to a range of unexpected crises such as the 2011 tsunami that destroyed Japan’s Fukushima nuclear power station, causing costly delays in the electronics, motor vehicles and other industries. Since 2001, the U.S. has endured a series of disruptions, including hurricanes, power blackouts, oil spills, bridge collapses, gas-line explosions and aircraft accidents. The giant reinsurance company, Munich Re, reports a sharp increase in the number of natural disasters during the past 32 years – a trend that is linked to climate change. Are we adequately prepared for the next catastrophe, even though we cannot predict what it will be? The root cause of our vulnerability is the structure of the global economy: highly interconnected, complex and filled with turbulence. Major disasters can occur unexpectedly, and even minor incidents can cascade into significant human and financial losses. Emerging pressures such as climate change and urbanization will only intensify the potential for extreme events and severe disruptions. When a catastrophe occurs, we rush to aid the victims, but the memory quickly fades and we return to business as usual, dealing with more immediate financial or political pressures. Could we do a better job at anticipating and responding to unforeseen events? Although businesses, communities and government agencies have developed elaborate “risk management” systems to detect vulnerabilities, this approach has an inherent weakness. It cannot protect against unidentified risks. In an increasingly complex and volatile global economy, it is virtually impossible to predict and analyze all possible disruptions. Rather than resisting the inevitable waves of change, we need to embrace change and learn to ride the waves. In my book Resilient by Design, I argue that to embrace change requires going beyond the traditional approach of minimizing unwanted disruptions and recovering normal operations as quickly as possible. We must treat each surprise event as a learning experience, and adapt accordingly. Risk management makes sense in a stable environment with predictable events, but in today’s more complex risk landscape – the new normal – it is inadequate for dealing with fast-moving, unfamiliar threats that may cascade into disasters. The most damaging disruptions are often a result of rare, “black swan” events that were never anticipated. Who would have guessed, for example, that a volcano in Iceland would ground virtually all air traffic in Western Europe? The US government and many private companies have begun to study the resilience of our economic systems, urban communities and the infrastructures that support them. A particular concern is adaptation to the emerging effects of climate change, including extreme weather and rising sea levels. Rather than responding to crises after the fact, we are beginning to design dynamic systems that are better prepared to anticipate crises and more capable of coping in the aftermath. For example, package delivery companies such as UPS use real-time monitoring systems to quickly reroute deliveries in the event of a transportation disruption. Resilience – the capacity to survive, adapt and flourish in the face of disruptive change – is a basic characteristic of all living systems, from individual creatures to entire ecosystems. Most people are psychologically resilient in the face of setbacks, ranging from diseases to divorces or job layoffs. Human communities are remarkably resilient, and many cities have been completely rebuilt after catastrophic events. In contrast, engineered systems such as machines, buildings and industrial supply chains are generally more “brittle” and prone to failure or collapse. Brittleness is not inevitable. It is a fundamental design flaw. Mechanistic systems based on logical rules cannot cope with events that the designers failed to anticipate. We have much to learn from the natural world, where resilience is seen everywhere from cells to organisms to entire ecosystems. Today, innovative companies are learning to behave more like living systems, sensing, responding and adapting to change. They view resilience as a source of competitive advantage and are supplementing traditional risk management methods with adaptive processes and technologies. For example, IBM has worked with the city of Rotterdam to deploy advanced cyber-based methods for flood detection and control, enabling the city to cope with the increasing intensity of flooding events. And researchers at The Ohio State University have developed a supply chain resilience assessment tool that helps to spot a company’s areas of vulnerability and identify corresponding capabilities that need to be strengthened. Resilience capabilities are quite diverse, ranging from physical design of operations to information technologies to training of employees. One basic approach to resilience is reducing the concentration and complexity of a system: for example, by building smaller-scale, distributed facilities instead of a single centralized facility. Global giants like Dow Chemical are exploring a range of supply chain resilience strategies, from increased flexibility of transportation modes to early warning systems that sense and respond quickly to surprise events. And next-generation nuclear plants will have safety features that eliminate the chance of a meltdown. We hope. The above research has shown that human intelligence and creativity are among the most powerful tools available to build resilience against unforeseen threats and enable both companies and communities to flourish. Clearly the most challenging threat that we face today is the rise of violent extremism. Terrorist organizations, with their decentralized structure and covert operations, are inherently more resilient than the traditional armed forces deployed by nation-states. Despite huge investments by the U.S. and its allies in counterintelligence, we are still ineffective in “asymmetric” warfare. Overwhelming force may achieve temporary victories, but cunning and subterfuge eventually prevail. 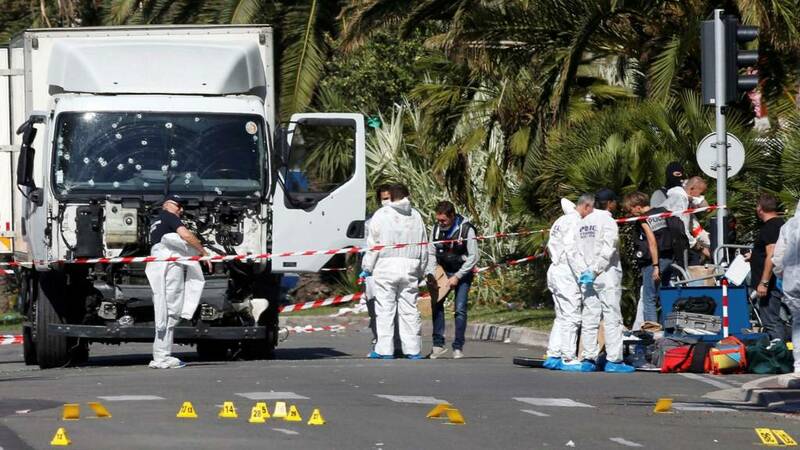 And the Nice attack reminds us how much damage one individual, even acting without any terrorist support, can cause. To defeat terrorism, we may need to leverage the human factor – and its inherent resilience – by taking advantage of citizen involvement, social media and other nontraditional tools. For example, the surveillance work of intelligence agencies can be complemented by conscious public efforts to promote inclusiveness, avoid alienation of minorities and reach out to potential dissidents. This type of adaptation seems more promising than trying to shut our borders to entire classes of immigrants. Note: this is an updated version of an article originally published on December 11, 2015. Courtesy of Joseph Fiksel via The Conversation Joseph Fiksel works for The Ohio State University as a faculty member and program director. He has received funding from Dow Chemical and other companies to support the research described in this article.